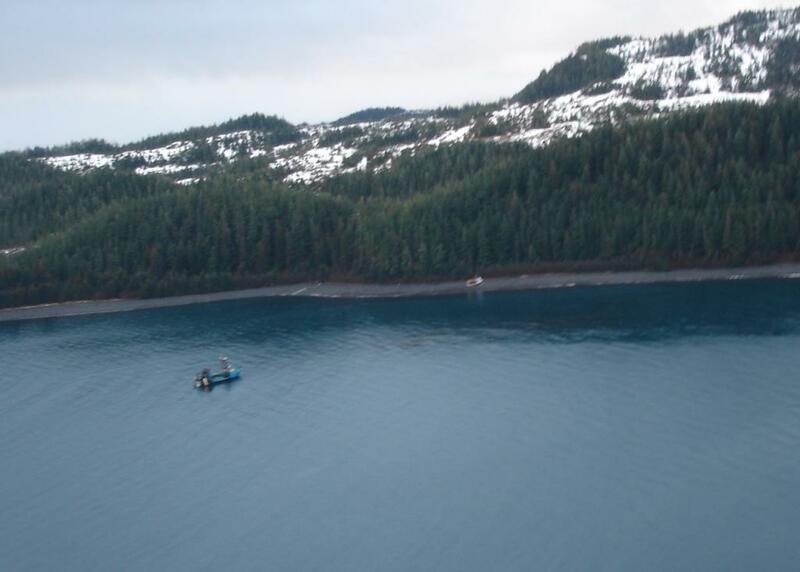 Prince William Sound Fishing Vessel Salvage - Global Diving & Salvage, Inc. Global Diving & Salvage, Inc. responded to the rescue of the shipwrecked 42’ fiberglass fishing vessel that ran hard aground on the rocky shore of Latouche Island. The remote island lies near the western entrance to Alaska’s pristine Prince William Sound. The vessel grounded during a high tide that occurred near the peak of the spring tide cycle, with seas at 2-3 feet; as a result the vessel was driven high onto the loose cobble beach. Global responded with a salvage master and crew equipped to quickly mitigate the threat; not only due to the extremely sensitive marine environment but also to limit damage to the vessel. With cooperation from the owner, the vessel’s fish catch, plywood shelter and other cargo and items were removed to lighter the vessel in preparation for refloating. Fuel and other oils were also recovered from the vessel. The vessel was subsequently patched, successfully refloated and towed to Whittier, Alaska where she was safely delivered to her owner for repairs.